As per the new insurance initial public offer (IPO) guidelines, Max New York Life Insurance Co. Ltd is eligible to go public. The company is almost 11 years old in the business, but is not in a hurry to seek a listing. It’s not just the market volatility, but also the fact that it is well capitalised and is confident about its profit that is holding it back. 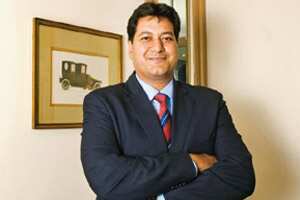 Rajesh Sud, managing director and chief executive officer, Max New York Life Insurance, explains why. In fact, he spelt out larger issues that he says will discourage most insurance companies from going public any time soon. The IPO guidelines have been announced and as a prerequisite a company needs to be in business for at least 10 years. Considering that your company is at least 11 years old, will you be going public? Not anytime soon. One needs capital for growth, but this year the industry has shrunk. Private companies have shrunk by 10% and the industry as a whole has shrunk by about 26%. Next year, we are expecting growth but it will not be like earlier years, where we saw a 50% growth. We are expecting a moderate growth of 12-15%. How much capital is required to fund this growth is something we need to see. Even other companies are not very enthusiastic about going public given market volatility. In other words, insurance companies are unlikely to tap the market. Yes. Unless foreign direct investment is opened up or foreign institutional investors are allowed to invest in insurance stocks, I don’t see the companies going public any time soon. The domestic market lacks the depth and the appetite to handle the size of insurance IPOs. I think the companies that go public will do so for value discovery. Also, I feel more disclosure is required. For instance how is the embedded value calculated? Currently, there are two methods: traditional and the market consistent embedded value (MCEV). The companies need to have an embedded value that is twice the paid-up equity capital. What is the ratio for your company? As of 31 March 2011, our embedded value was ₹ 3,216 crore, whereas our paid-up equity capital was ₹ 1,976 crore. Currently we may be off the mark but we will make it up by next year. We calculate this embedded value using the traditional method. If we apply MCEV, our value would increase. You have reported profits of ₹ 375 crore for the first half of FY12. Given the current reforms in the life insurance sector, reporting profits must have been quite a task. What all did you need to revamp in order to make profits? Initially, in 2009 we decided to increase our footprint three times. For this, we opened 215 more offices. But when the unit-linked insurance plan (Ulip) guidelines came, the basis of that planning was challenged. We had to resize ourselves and focus on areas where premiums were likely to come from. We also restated our distribution strategy. We partnered with Axis Bank Ltd, which has a pan-India presence. With Axis Bank, we were able to cut costs. Now bancassurance constitutes 30% of our business. Then we decided to focus only on around 200 locations. Agents training has been our strength and so we pressed on that lever harder. Persistency of policies was emphasized upon. We also revamped our front-end process. We avoided low-value sales because we felt they were mostly relationship accommodation sales. We also realized policies with a monthly mode of payment were getting lapsed the maximum, so we incurred an initial cost to transfer these policies to more robust payment methods such as direct debit and electronic clearing system, or ECS. I would like to emphasize that profits alone should not be considered in assessing a company’s performance. It is the embedded value that sheds light on a company’s performance more accurately. Life insurance in its early stages is a loss-making business. However, factors such as strong persistency, productivity of agents, premium income and reduced costs make it profitable over a period of time. Embedded value captures these factors. The new draft guidelines on bancassurance have suggested that banks continue to tie up with one insurance company in the life, non-life and health insurance spaces but only in a specified number of states. While for life insurance companies promoted by banks this may not be a positive step, for companies such as yours it may be a good move. Comment. We have a tie-up with Axis Bank, which has a national presence. But I agree that it is in the favour of companies that are not promoted by banks. Having said that, we need to see what these guidelines bring to the table. The idea behind these guidelines is to improve penetration. I don’t think that’s an answer. I think we need to focus more on training of banks and have more accountability. Also, I don’t think we should have further caps on commissions.